The media likes to report on the negative experiences of special needs children by teachers in America. We don’t hear as much about the positive impacts just one teacher can have on their students. What can happen when they DO get the support they need, and then some? 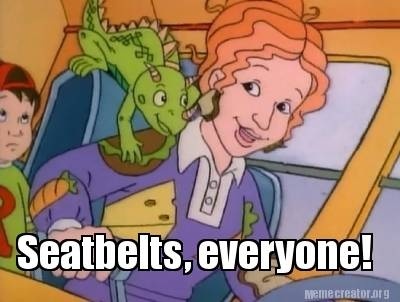 What can happen if a teacher is really like Mrs. Frizzle from The Magic School Bus? I can tell you what CAN happen because I have experienced it. Except, the teachers name isn’t Mrs. Frizzle, it’s Mrs. Strong (but she really does have red hair). 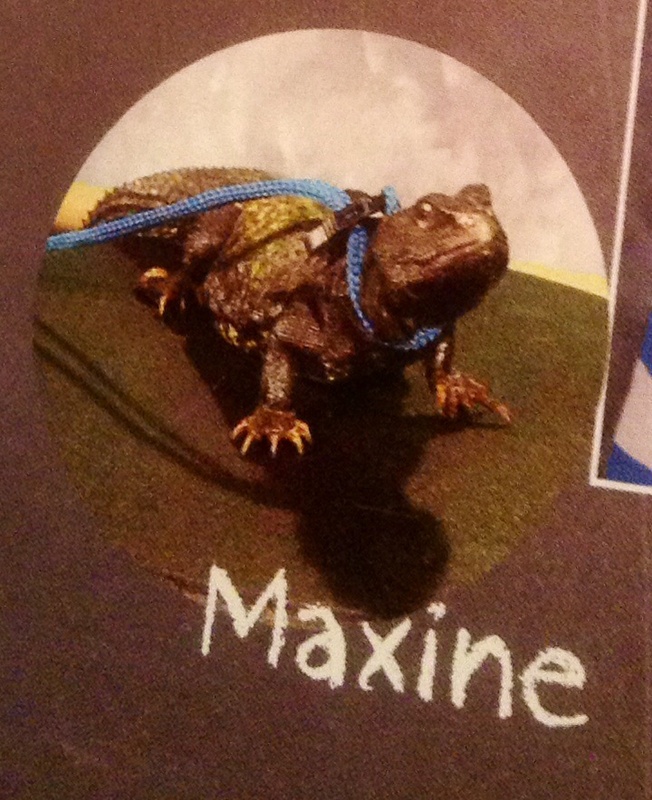 She also has a classroom lizard, named Maxine (who was originally thought to be a girl – hence the name Maxine. It turned out to be a male lizard but the name stuck). Mrs. Strong is a 4th grade teacher at a small private PK-8th grade school for kids with learning differences. There are students with dyslexia, ADHD, autism, auditory processing disorder etc. They are the students who often fail in the public school system because of their learning differences. My identical twin sons have attended since Kindergarten – one of them is in currently in 5th grade and the other in 4th (long story). Because of this, one twin was in her class last year, and the other has her this year. “I am the parent of a student in Mrs. Strong’s 4th grade class at (a) private K-8 school for students with learning differences. My son has a diagnosis of Autism Spectrum Disorder and has attended this school since Kindergarten. While he has had many fantastic teachers at this school, the change we have seen in him since the beginning of the school year is amazing. Mrs. Strong has high expectations of her students ability and pushes them to do their best. They have stepped up to the challenge because they do not want to disappoint her. I have seen my son go from someone who argued consistently about completing his homework; to someone who comes home and completes it on his own. My sentiments on his maturity this year is echoed by the parents of his classmates when we discuss our children’s successes. What really sets Mrs. Strong apart from other teachers is the involvement she has with her class that goes above and beyond any teacher we have ever encountered. 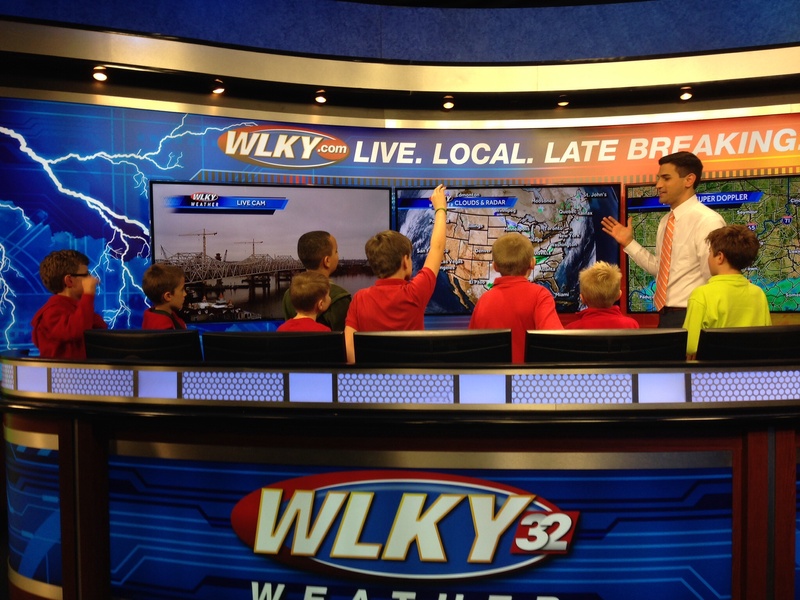 I am going to highlight some of the hands-on activities that have inspired her class. – A Pow Wow to commemorate the end of the Native American unit. 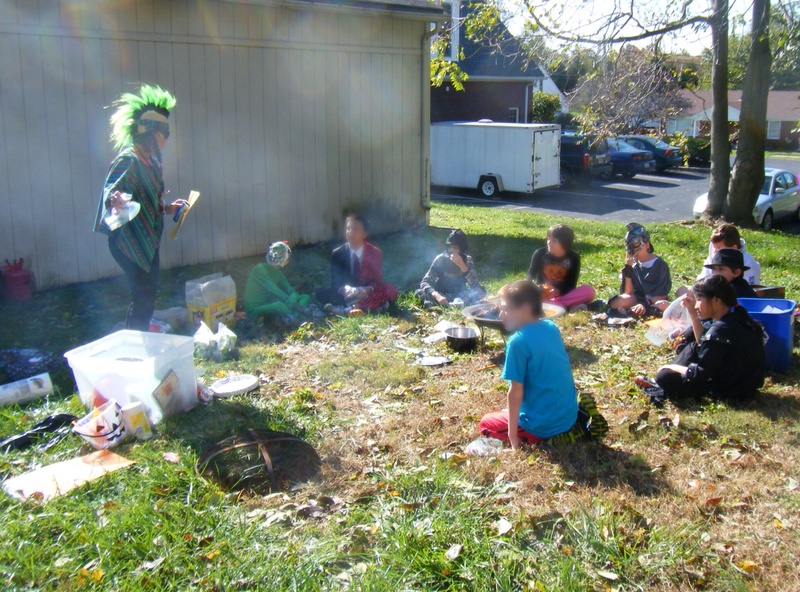 They played games using wampum for money, had a bonfire and discussed the traditions of various tribes. 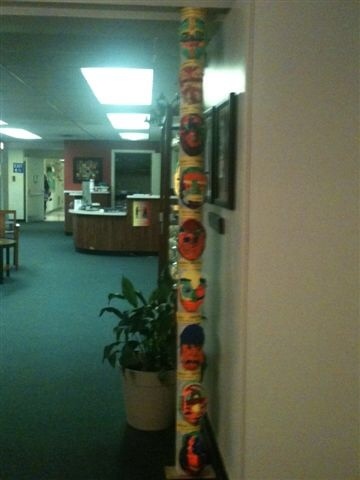 They also created masks with their “Native American” name which were displayed in the school lobby throughout the year. 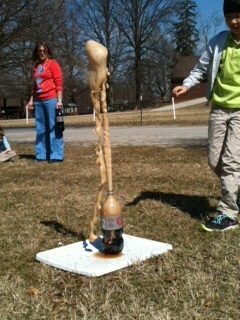 The Totem created by the class. 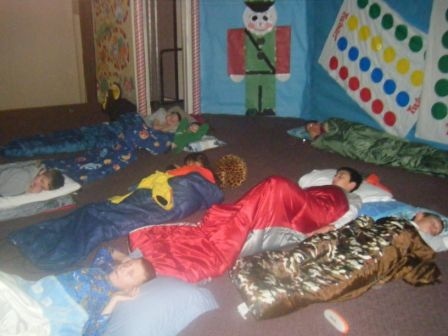 – A sleepover at school just for her class where they baked holiday cookies in the school kitchen, played flashlight tag and slept in the auditorium. For many students, this was the first time they had ever slept away from home and it cemented the “team” her class had become. 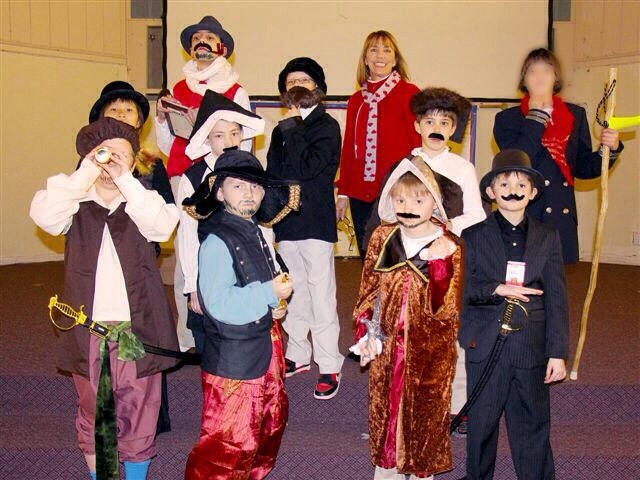 – A living wax museum following the explorers unit. Each student chose a explorer, researched them and came to school dressed as their explorer. They then delivered a speech to visiting students to the “wax museum” . The impact of this was huge; not only did the students get really into their characters (and their classmates) but it enabled them to practice public speaking skills. 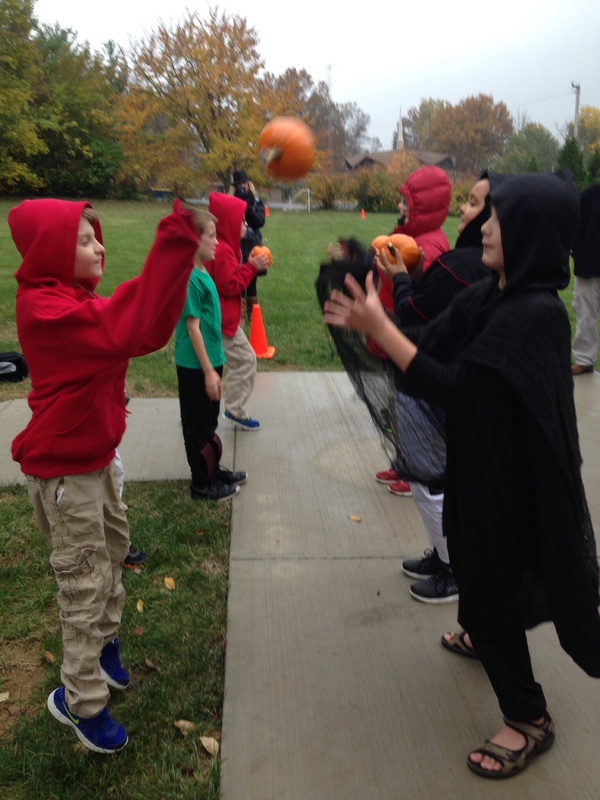 Many of the students have social – communication impairments, but stepped up to this challenge and even enjoyed it. 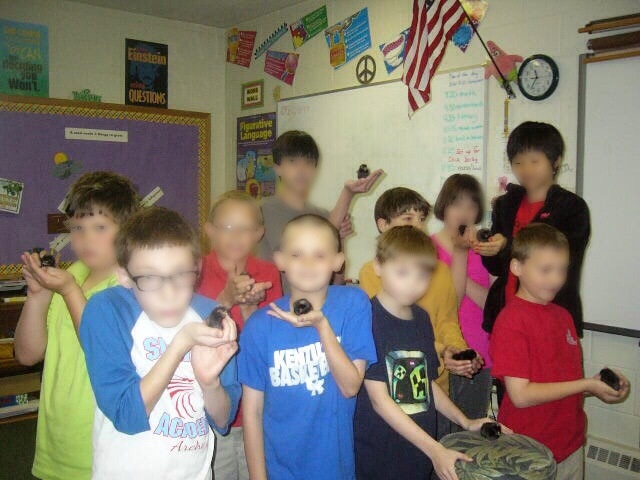 – In science, they incubated chicken eggs and installed a live webcam so the students could monitor the progress. After they hatched, they had the “chick derby” to find out which chick was the fastest. They were then returned to the farm that provided Mrs.Strong with the eggs. 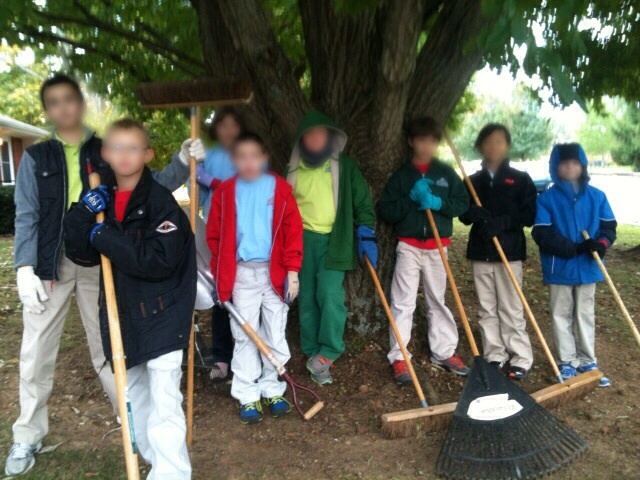 – Her class participated in “Make a Difference Day” and stayed after school cleaning up the school grounds. Again, this was the first time many of the students engaged in manual labor and the sense of pride (along with blisters) was fantastic to see. – For the American Patriots unit, they designed dish soap bottle patriots. 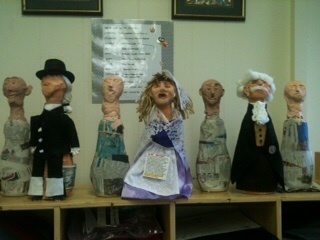 The students had a great time researching / creating their patriots and presenting them to the school. By this point of the year, many students who struggled with public speaking felt much more comfortable. On many afternoons, the class could be found participating in new activities. Mrs. Strong taught them how to fly kites, again a experience that some had not encountered before due to motor planning impairments. Other instances were jumping on pogo sticks to help with balance issues, taking “Maxine” the class lizard for a walk outside on a leash among many others. Stand back, we’re doing science! I can now talk about my other son who is in Mrs. Strong’s class this year. He is more impaired socially then his brother and often has issues with impulsiveness and staying “on-task”. We have seen improvements in his abilities this year such as actually participating in activities (versus stimming around the room), connecting socially with his classmates and really just enjoying being at school. He loves the hands – on lessons and is actually looking forward to the sleepover and other events scheduled this year. This years Pow Wow was cut short because of rain! The best thing so far? 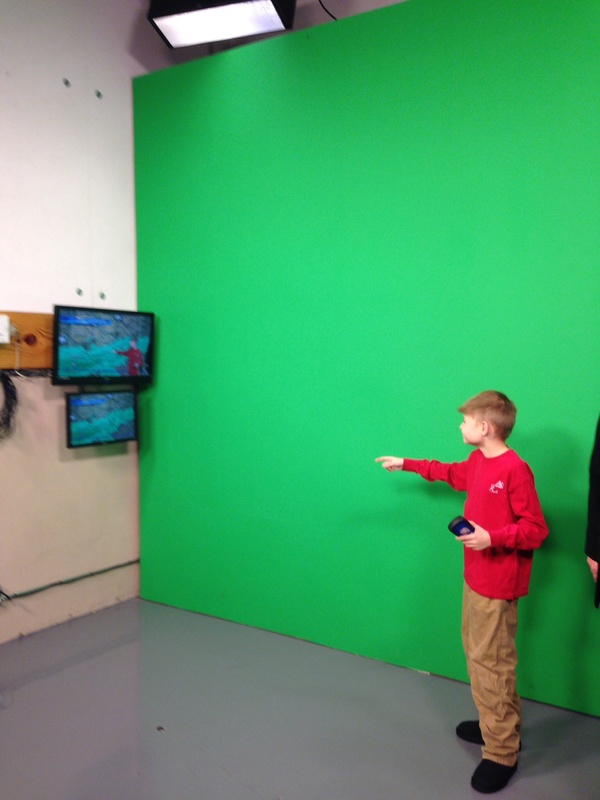 A field trip to a news station to reiterate everything learned during the weather unit. That will be a hard one to top – but if anyone can, it will be Mrs. Strong / Frizzle! Next Post Why I love Five Nights At Freddy’s…..